These slinky little fellows make excellent pets but, be warned, ferrets can’t simply be caged up and kept quiet! Ferrets are intelligent, loving and playful animals that make excellent pets for people who have plenty of time to devote to them — they don’t cope well with cages and need to be part of your daily life. A highly entertaining and funny creature that makes for a fab companion (you can even train them to be comfortable on a leash to take for walks), ferrets are curious, lightning fast and can get into just about anything, and any kind of mischief, so you’ll need to be prepared to supervise your critter with a closer-than-average eye. Ferrets have copped a bad rap in the past and part of this is because they are considered biters. However, while they can bite like any other animal with teeth, they can also be taught not to. Baby ferrets enjoy play biting just like pups but, as with other animals, you need to deter them from this behaviour as it will get progressively more painful. If you have small children and are not sure you have the time to train a ferret well, contact your local ferret association and ask them about adoption, as it can be possible to adopt adult ferrets, which are used to people and do not bite. Essentially, ferrets are very sociable creatures that need to be allowed to join in with the family. The downside is it can be hard to keep them safe — they are a curious breed and will follow their noses quite far. As they can squeeze through spaces just a few centimetres wide, climb netting, dig under fencing, push open doors and chew through flywire, ferret-proofing a house and yard is a tough but highly necessary gig. Even if you allow your ferret free, unsupervised run of the house, it’ll still need a cage with a litter box and very narrow gaps. When you’re not about, and when they are footloose and fancy free, you’ll need to seal off access to washers and refrigerators, move furniture to prevent access to open windows or breakable treasured belongings. Another top safety tip? Always check the washing baskets and rubbish bins before putting on a load or emptying the bins — ferrets can fall asleep in them! Food-wise, ferrets are carnivores, but providing only raw meat will result in nutrient deficiencies. High-quality dry cat food in small quantities makes for a good supplement, and you can also give small amounts of organ meat, small prey and raw chicken bones. Don’t be surprised to find your ferret trying to snack on some of your faves, too, which is fine in moderation; think fruit, chocolate, ice cream and peanut butter. Ferrets are susceptible to the human flu and, while they can’t catch the common cold from humans, they can catch influenza and will need vet attention should they contract it. 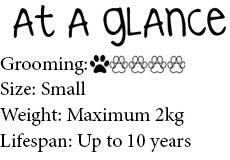 The signs are the same as with humans: runny eyes and nose, high temperature, loss of appetite and drowsiness. If you notice these signs, treat them as you would yourself (medications aside) by keeping your pet warm but not overheated, giving plenty of fluids, reducing stress and visiting your vet if you’re worried. Ferrets also struggle with heat and can’t sweat or pant to help regulate their temperature, so it’s important to keep them cool in summer — anything hotter than 28 degrees Celsius can be fatal. Keep them in a cool place, ensure their cage is away from extremes of temperature around the clock and, when outdoors, keep them in the shade, with access to frozen bottles of water or wet towels. Never leave your ferret in a closed car or a metal cage on a hot day. If they’ve been left in the heat, or show signs of dehydration, it’s important to seek vet care immediately. Canine distemper is a viral disease that’s 100 per cent fatal in ferrets, so you need to vaccinate your pet at 12 weeks of age and then annually. Early symptoms are usually the same as a respiratory infection and may be confused with the flu so if they have a weepy nose or eyes or if you are concerned, a vet visit is advised. Ferrets can also suffer from shock should they hear a loud, sudden noise, or if they are chased and frightened. And the signs don’t always kick in straight away. You can spot shock by them panting or experiencing lethargy to a catatonic state of rigidity. You can treat this by placing your ferret in a warm, quiet spot, speaking softly and stroking them gently. If your ferret is exercised on hard ground, their nails should naturally grind down to the right length but, if not, they will need to be trimmed once or twice a month before they start to curl. You can use standard pet clippers and, as with dogs, make sure to avoid cutting the skin. You can also use this time to check their feet pads for irritation, though this should be done frequently. Grooming can also help keep ill health at bay — ferrets are prone to ear mites, so check for them when cleaning their ears with a damp cloth, though take care to only wipe the outside as you don’t want to probe into the ear canal. If you are worried about wax build-up, speak to your vet. If they do have ear mites, they’ll probably start to scratch them frequently. Thankfully, they can be treated with drops from your vet. Ferrets can also develop problems with their teeth — anything from holes and broken teeth to the accumulation of plaque and associated gum disease. Your ferret’s teeth are very important for its general health. Help keep their teeth in tip-top shape by feeding your ferret a varied diet. Commercial kitten biscuits will help keep the teeth clean, as will raw, chunky meat with uncooked bones. You can brush their teeth but don’t feel bad if this doesn’t appeal — you’re far from alone! Your vet will assess your pet’s teeth at their annual check-up, but keep an eye on their teeth and make an extra visit if concerned. 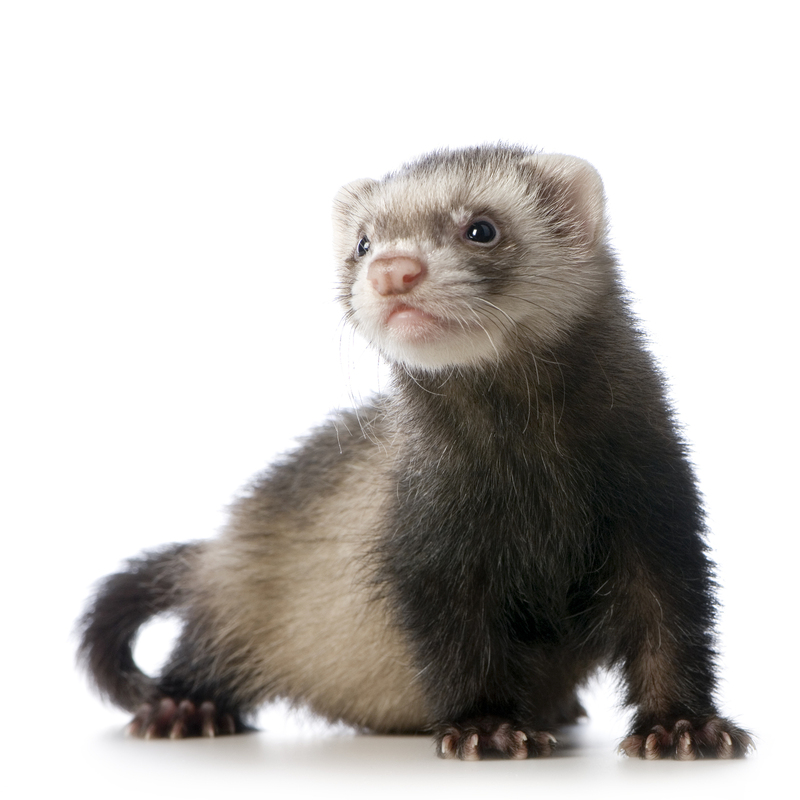 Part of your grooming ritual should include checking your ferret’s skin and coat for any parasites or sores. As bathing can dehydrate your ferret, it’s best to keep this to a minimum and, when you do wash your pet, use a shampoo designed for small animals. Ensure your ferret’s bedding is kept fresh and their home clean to reduce the need for a bath. Keeping ferrets as pets is illegal in Queensland and the Northern Territory, with penalties in Queensland up to $60,000 in fines, imprisonment and euthanasia of any found ferrets, and in the Northern Territory up to $76,500 in fines and imprisonment. This is due to a risk of them harming local wildlife. Ferrets are legal in all other states in Australia and do not require a licence.